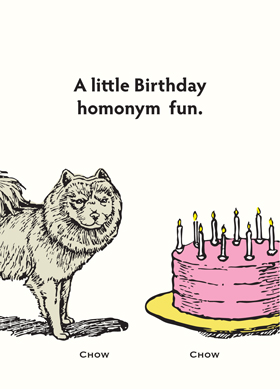 Outside: A little Birthday homonym fun. Chow & Chow. Inside: Enjoy the festivites! Happy Birthday!